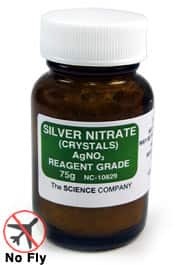 Reagent Grade Silver Nitrate AgNO3, 75g for sale. Buy from The Science Company. 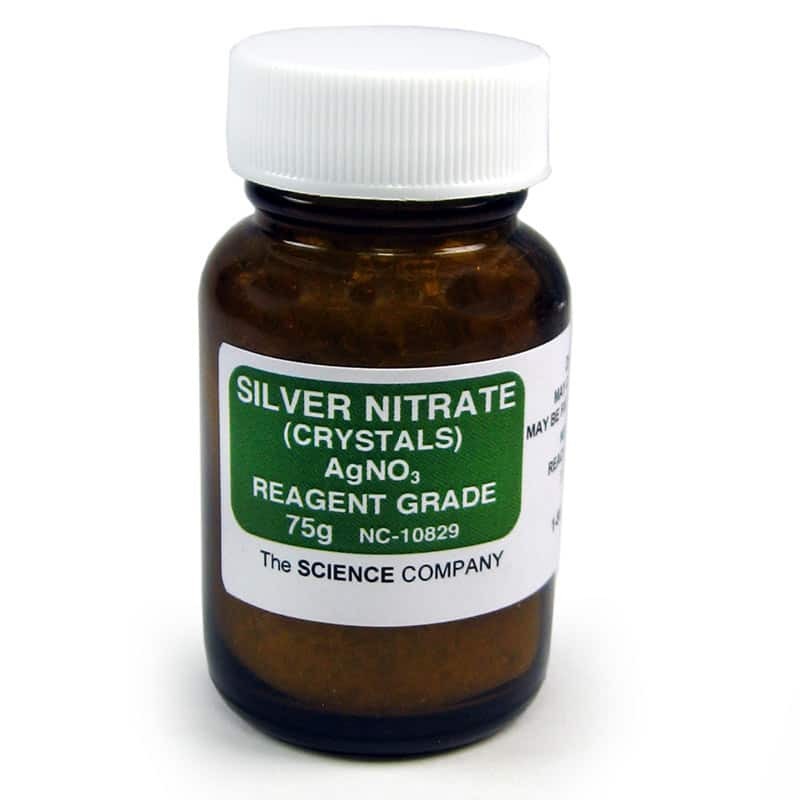 This 75g bottle of Silver Nitrate only ships to destinations within the 48 contiguous US states and Canada using standard ground. NO overseas export. NO air deliveries allowed. Smaller sizes have no shipping restrictions.